The Beach Glasses that Floats! Whether you enjoy picnicking in the park or by the beach, gone are the days of knocking over plastic cups on your outdoor excursions. 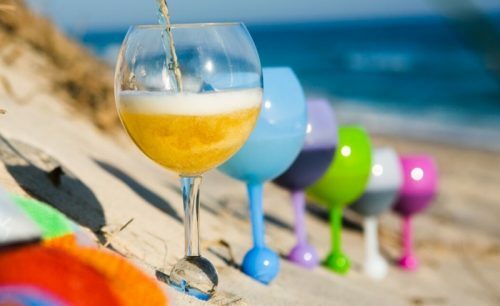 These colorful plastic wine glasses from The Beach Glass are here to save your drinks and your sanity, so you can spend your free time sipping instead of spilling. The drinkware has standard wine glass tops, in a variety of shapes, but it’s the stem that sets these glasses apart. 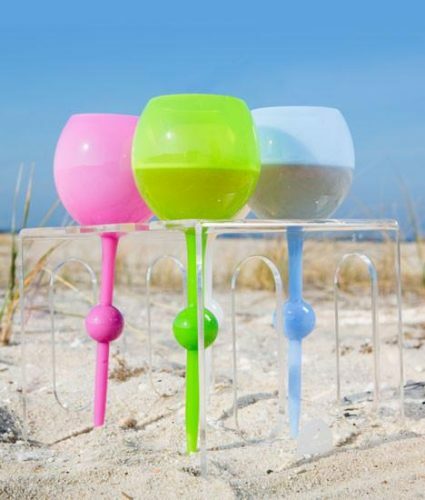 Each glass features a long, pointed stem that will dig into sand, grass, or snow. Plus, the ball in the middle of the stem will stop these glasses from sinking too far into the ground. If you’re looking to take your drink off-land, even better. Grab your glass and take a dip in the pool because, guess what? It’ll float too!